Satisfying at first, weeding fast becomes a tedious garden chore. Our tried & tested weed control & weed prevention tricks will greatly reduce your need to weed. When you disturb the soil by digging or cultivating, you may be bringing otherwise harmless weed seeds to the surface where they will reach the light and germinate. 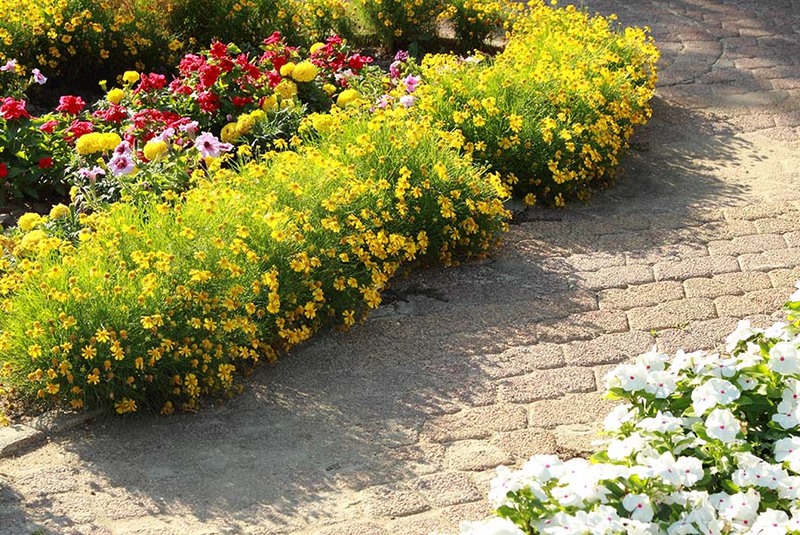 Always cover disturbed soil with compost, plants or mulch to prevent a fresh growth of weeds. If you try and pull up weeds when the earth is dry, you will find you have a tougher job plus you will unnecessarily disturb excess soil. If you are going to pull weeds, either do it first thing in the morning when the earth is still damp, dampen it with a watering can first, or wait until after a rain shower. There are weeding hand tools available, such as a daisy grubber that make pulling large weeds even easier. To weed dry earth, use a hoe to slice the root just below the surface - not too deep. The weed will then shrivel up and die. Mulch is a dynamic friend to any garden, bringing a host of benefits to your plants while greatly helping to fight weeds at the same time. It keeps the soil moist and cool to promote healthy plant growth, while depriving weeds of the sunlight they need to survive. Not just that, mulch also encourages beetles to hang around and eat the weed seeds! To get the best results, use landscape fabric covered by 2 inches of mulch. Landscape fabric allows water and nutrients through to the soil, while helping to suppress weeds. If any weeds do appear, as birds drop seeds from above, pull them up before they have a chance to root. Space plants as closely together as possible while adhering to the recommendations on the label, and try to cover the remaining bare earth with grass, mulch or ground cover plants. This will reduce the amount of space available for weeds to thrive in and will thus prevent weeds from growing in tight spaces in the future. Few people know that weeds are trying to do some good! They are a way that nature tries to repair itself, and hence why they are more likely to appear in dry and damaged ground. 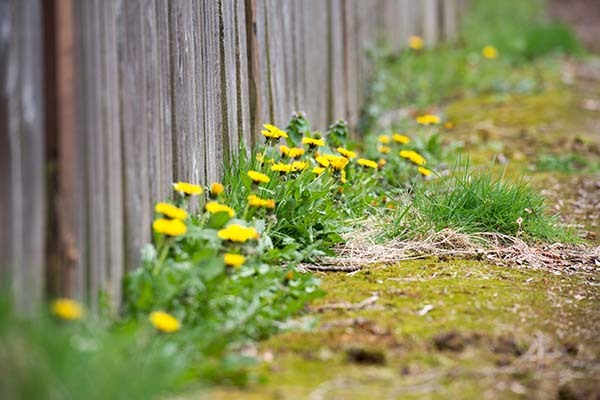 Although weeds will appear in healthy soil too, they will be fewer and further between. Treating your soil with fertiliser and keeping it aerated, moist and well drained, has been proven to help in the battle against weed growth. The fastest, easiest and most effective weed control technique is to use a weed killer. As with all chemical products, it is important to follow the manufacturer’s instructions, and to make sure you’re using the right one for your needs, e.g. safe to use around plants.